For announcements on upcoming webinars, sign up for policy alerts here. Accessing the available programs and supports that provide financial and medical assistance to help foster caregivers meet the needs of the children in their care can be challenging. This webinar is intended to help caregivers and child welfare professionals understand the available benefits to support children and youth in foster care. This webinar will provide an overview of foster care benefits detailing the different types and sources of funding and their associated eligibility requirements and rates, including the Emergency Caregiver program, home-based family care rates, the Approved Relative Caregiver program, specialized care increments, and intensive services foster care. Our panelists will also discuss benefits to support permanency and for youth transitioning out of foster care. This webinar provided an overview of the bridge program, including the main components of time-limited child care vouchers and child care navigators. Panelists shared outcomes and lessons learned from a recent child care pilot and local implementation of the bridge program. We also discussed current legislative proposals to augment the bridge program and hear from a caregiver about his experiences with the child care program. This webinar included an overview of the educational rights of students in foster care, including their right to remain in their school of origin. Panelists discussed how caregivers, administrators, providers, judges, attorneys and social workers can help youth achieve stability and success in school. We also highlighted recent policy proposals intended to promote school stability and hear directly from school-based foster youth liaisons and caregivers as well as youth themselves. This webinar is intended to make the juvenile court process more accessible to caregivers, who often struggle to understand the timelines, orders and various players involved in a child’s dependency case. This webinar is aimed at both caregivers and child welfare professionals. This webinar included an overview of juvenile dependency court, including various types of hearings, court personnel and typical timelines. Our panelists also provided tips for communication, collaboration and engagement with the dependency court process and the multiple parties involved in a child’s dependency case. This webinar provided a summary of the major child welfare bills that were signed into law this year. Panelists shared information about how these laws will impact recruitment and retention of foster caregivers, the services and supports available to families and youth in the child welfare system, and more. In addition to fundamentally shifting how children in and out of foster care are supported, the recently-passed Family First Prevention Services Act (FFPSA) includes a number of provisions which directly impact Transition Aged Youth, including limitations on the use of congregate care and changes to the Chafee Foster Care Independence Program. This webinar continued our exploration of FFPSA, delving into Title II of FFPSA, specifically focusing on the impact on providers of congregate care and residential services that are often targeted at older youth, as well as other provisions of the new law that most impact our transition aged youth. As we discuss each topic, we highlighted the opportunities offered by FFPSA, gaps in the law that might present challenges in implementation, and changes that should be considered to ensure the law achieves its intended goals. This webinar provided an overview of the changes in the law as well as the concerns raised by advocates, counties and state agencies about certain components of FFPSA. We focused on the potential impacts of the law on both our child welfare system and broader safety net programs, including the barriers children and families may face in accessing benefits and services. As we discuss each topic, we focused on implementation strategies to utilize in California in order to improve access to necessary supports and services and minimize adverse impacts on our children and families. Finally, we discussed ongoing efforts to secure needed legislative fixes to the law to make it more workable in California and beyond before its implementation. This webinar provided an overview of the legal duties of child welfare to provide appropriate placements and best practices for identifying the most appropriate placements for nonminor dependents. We also gave an in-depth analysis of housing rights for nonminor dependents living in group homes and transitional housing. Finally, we discussed proposed California legislation that would ensure that youth are able to enter or re-enter extended foster care to access the supports they need to successfully transition into adulthood. Two bills intended to facilitate payment at the time of placement and streamline the Resource Family Approval (RFA) process have been introduced in the California State Legislature. AB 2183 (Rubio) and SB 1083 (Mitchell) will ensure that the approval process is done in a timely manner, relatives are financially supported through the approval process and children are connected to relatives and extended family members in a child-centered and family-friendly way. This webinar discussed the most recent developments in state law around the Continuum of Care Reform and Resource Family Approval, the motivation behind the two pieces of legislation and the steps you can take to help support these RFA bills. This webinar shared the most recent statewide data on foster youth education outcomes, and discussed how that data helps determine starting points for improvement. We reviewed foster youth education rights and highlighted the most recent developments in state and federal law meant to help bridge the gaps that foster youth experience. Finally, we provided participants access to comprehensive toolkits and model policies designed to address these issues. Each topic focused in on best practices and challenges, as well as the impact of the changing child welfare options under the Continuum of Care Reform. This webinar covered delays, barriers, and challenges that have emerged since Continuum of Care Reform implementation began in January 2017. In addition, an expert panel highlighted challenges with the new Resource Family Approval process and new efforts underway to ensure that children and families receive the supports and services they need from the moment of placement. The webinar also addressed next steps in the new rate structure. Counties have an exciting opportunity to address a pervasive problem with foster parent recruitment and retention through the recent adoption of the Emergency Child Care Bridge Program. With passage of SB 89, California has allocated $15.5 million for the second half of fiscal year 2017-18 and $31 million ongoing for counties to utilize to provide emergency child care vouchers to families who would otherwise be unable to accept placement of a child in their home. The webinar explains how the bridge program works and why counties should not pass it up. We also covered what a county must do in order to take advantage of the bridge program. This was a webinar to learn about the policies and practices to increase the number of kinship placements and better support families. We were joined by individuals from Los Angeles County who have been engaged in a successful pilot to recruit family to care for relatives. In addition, we heard from experts in Pennsylvania who have reformed their foster care system to be kin-first. These programs are on the cutting edge of transforming child welfare to be child-centered and family-friendly. Our panelists shared how their innovative programs can be replicated across the country. We were joined by Judge Michael Nash (Ret. 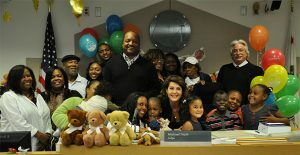 ), Director of Los Angeles County’s Office of Child Protection, Jay Kadash, Stacy Johnson, and Yakiciwey Mitchell from A Second Chance, Inc., and Tiffany Collins and Jennifer Lopez with Los Angeles County Department of Children and Family Services (DCFS). This webinar summarized the key bills that were signed into law this year. These reforms will impact recruitment and retention of caregivers, the services and supports available to families in the child welfare system, and more. We were joined by experts from the Children’s Law Center, Children Now, Tipping Point Community, and John Burton Advocates for Youth. This webinar highlighted model state laws, policies, and court orders that have improved access to needed supports and services for children and families. We discussed current and pending threats at the federal, state, and local levels that imperil the child welfare system and related safety net programs—and how participants can preserve and strengthen these essential programs. We discussed the importance of supporting delinquency-involved youth—including foster youth and nonminor dependents on juvenile probation—in community-based settings. Topics included: ensuring medical and mental health services, housing and placement needs, education, employment training, and other supportive services. Attendees learned about funding streams, dispositional options, and how Continuum of Care Reform impacts delinquency-involved youth. We also discussed replicable models in counties that have maximized funding streams. Finally, we looked at the Juvenile Justice Practitioners Toolkit, which provides practitioners with information about how to best access resources for youth. Michael Klein, Fight Crime: Invest in Kids. When a child enters the child welfare system for their own safety and well-being, the law requires that preference be given to placing that child with a relative. Beyond that, the first goal of the child welfare system is reunification; if that is not possible, the next goal is to ensure the child has a permanent and stable home. This webinar unraveled various permanency options including adoption, guardianship, or placement with a fit and willing relative. We also heard directly from kinship families who have made these decisions and are willing to share their stories. Please join the Alliance for Children’s Rights, the Children’s Law Center, and kinship caregivers for this special webinar that gave an overview of the law and policy around permanence and explore the personal experiences of kinship foster families. The Alliance for Children’s Rights, the National Center on Homelessness and Poverty, Tipping Point Community, and Larkin Street Youth Services hosted a webinar highlighting the voices and experiences of advocates and providers about the educational needs, legal rights, and best practices of working with young people experiencing foster care and homelessness. Confidentiality of foster care records can be a very confusing topic. We discussed the confidentiality of health, education, and mental health records. Attendees learned how records are protected and who can access protected records. Attendees also learns about what records you can share and what information you have to keep confidential. Confidentiality as it relates to the new Resource Family Approval Process was discussed, including Child and Family Team Meetings and Adoption. On January 1st, 2017 California began implementation of it’s Conntiuum of Care Reform (CCR). Under CCR, relatives and non-relatives alike will have to go through a new process to be approved as a caregiver for a child in foster care. The new system, known as Resource Family Approval, ensures that all caregivers are held to the same standards and receive the same training, supports, services and funding. Relatives, who are critical to the success of CCR, also may encounter the greatest barriers in navigating the RFA process because most relatives begin caring for children in a moment of crisis and prior to being approved. These individuals and families are navigating the new rules and requirements while simultaneously caring for traumatized children. When policymakers and advocates envision reform to federal child welfare policy, they are often motivated by the common misperception that there is an overreliance on foster care as an intervention. Further, current federal proposals to reduce reliance on congregate care and ensure every child should be raised in a family should be grounded in the experiences of states, like California, that are already engaged in those efforts. The California Child Advocates for Change debunked the myths that underlie many of our federal foster care reform efforts and highlighted the key areas of reform needed at the federal level. Our September 21st policy webinar featured experts who are working across California to address and prevent youth homelessness. Panelists discussed how the extension of foster care to age 21 provides new opportunities to assist youth, and talked about current barriers within the extended foster care system itself. Panelists also discussed reform efforts geared toward preventing youth homelessness. We heard from individuals who implemented the pilot Residential Based Services Project in Los Angeles as well as a working group formed in Los Angeles County to improve educational outcomes for youth who need short-term residential treatment. 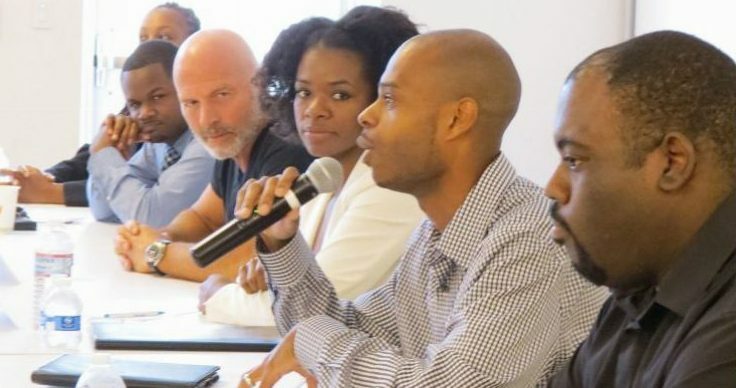 State policy advocates discussed how the educational needs of these youth are being accounted for in the Continuum of Care Reform work that is underway. This webinar provided an overview of a new study, The Economic Well-Being of Kin and Non-Kin Caregivers by Jill Duerr Berrick. We will also hear from providers and advocates on model programs and practices, as well as new state policies, that are responsive to these findings and will ultimately help us better support and engage kinship families. Despite being the backbone our foster care system, the unique circumstances and needs of kinship caregivers are often not considered and the voices of these unsung heroes are rarely heard. This webinar featured multiple kinship caregivers sharing their experiences and stories, as well as their ideas for how our child welfare system could be improved. The primary goal of our child welfare system is to reunify children with their families or, if that’s not possible, to connect children to permanent and loving families through adoption or guardianship. Recent reforms have focused on how to enhance permanency outcomes for older foster and probation youth, even into adulthood. This webinar detailed these reforms and best practices that promote permanency for older youth in the foster care and probation systems. Child care, if it can be accessed, enables a larger pool of families to to provide safe and loving homes for children in foster care. In this webinar, participants gained an understanding of the intersection of our child welfare and child care systems, barriers to accessing high-quality child care for foster children, and policy solutions to address those barriers. Education Webinars allow us to dive deeper into the sections of the Foster Youth Education Toolkit and are designed for all school personnel who work with foster youth. In each subject area, participants will learn applicable laws, best practices and how to use (or modify) the provided tools to meet the education needs of foster youth in a meaningful way. View all Toolkit webinars here.